Castillo de San Marcos is a long time staple of St. Augustine and a must see while you are visiting the area. The fort is just a short walk away from The Collector Inn; you will find yourself strolling along the Matanzas River until you inadvertently walk directly into Castillo de San Marcos. 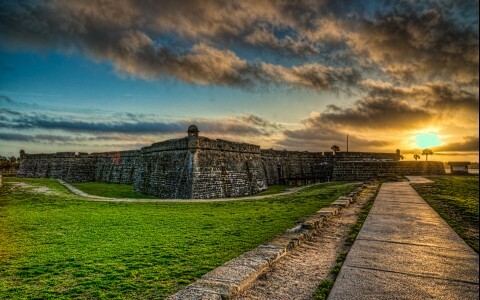 The fort was built in the 17th century by Spanish settlers to protect St. Augustine from other invaders. The structure itself is built from coquina, a material similar to concrete but made out of shell particles, it is commonly found in Florida. The fort is open daily with the exception of Thanksgiving and Christmas, and is the perfect family-friendly activity for the afternoon, while also expanding your knowledge on the history of the United States.